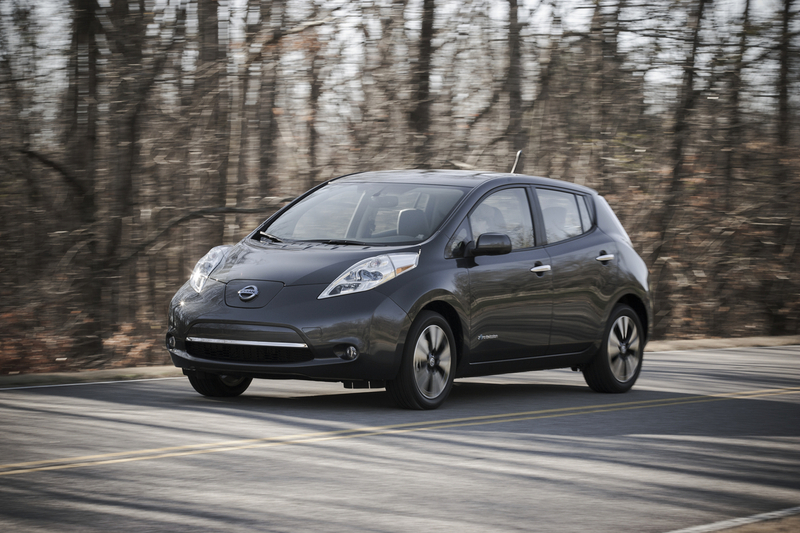 The Environmental Protection Agency (EPA) just released economy and range numbers for the 2013 Nissan Leaf. Nissan’s EV is now rated at 130 MPGe city, 102 MPGe highway, and the EPA says it has a 74-mile range. That should be the end of the story, right? Not exactly. Nissan is saying that, because the 2013 model was tested under a new EPA methodology, it’s ratings can’t be compared to those of the old Leaf. The 2012 Leaf was rated at 106 MPGe city, 92 MPGe highway, and had a 73-mile range. Nissan says the difference in performance between the 2013 and 2012 models could be greater than indicated. The 2013 Leaf has two charging modes. The default is a “100 percent Long Distance Mode,” which maximizes range. However, there is also an “80 percent Long Life Mode,” which is meant to save wear on the battery. The 2013 Leaf is also the first model to be tested under a new EPA regimen that blends the two charging modes. Previous tests used the range-optimized “100 percent” mode exclusively. What’s the difference? Travis Parman, Nissan of the Americas’ director of corporate communications, told AutoBlog that the 2013 Leaf would have an 84-mile range if the entire test was conducted in “100 percent” mode. In “80 percent mode,” range is reduced to 66 miles. Nissan has made a few improvement for 2013, including tweaks to the regenerative braking system and aerodynamics, that account for the increased MPGe and longer (theoretical) range. For 2013, Leaf SV and SL models also get a 6.6-kWh quick charger, which can impart an 80-percent charge in four hours. A new Leaf S base model also lowers the price of entry to $28,800, a drop of $6,400.